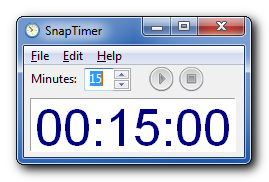 SnapTimer is a simple, free, portable countdown timer for Windows. All the timers I tested were too complex for my taste. I decided to write one that was dead simple, so you could run it, type in a time and hit enter. The aim of SnapTimer is to get out of the way and help you be productive. It's fast, lightweight and simple to use, but powerful too. A popular productivity strategy is to use a timer to do mini-sprints of work. Using SnapTimer I've increased my productivity and reduced procrastination. It's easier to get yourself to work on a difficult task for 5 minutes because there's a known end point. 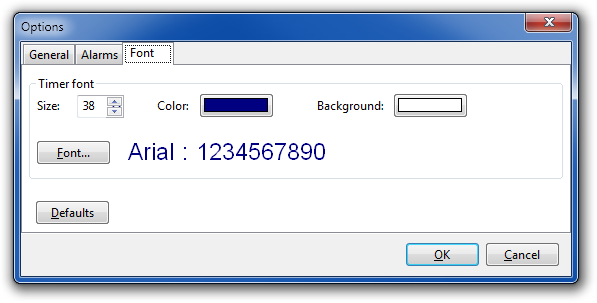 Displays time in the taskbar, as a hint in the tray and even in the right-click menu of the tray icon. Accepts time as command line argument, so you can create preset timer shortcuts or run the timer from a launcher (FARR, Launchy). Works on all versions of Windows, 32 and 64-bit. SnapTimer is freeware and open source and can be used for private or commercial use. 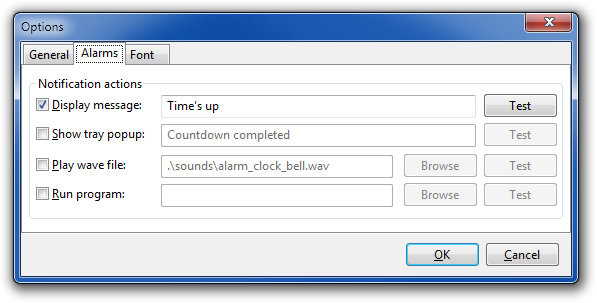 The main timer window, where you can enter the time in minutes, or start and stop the timer. 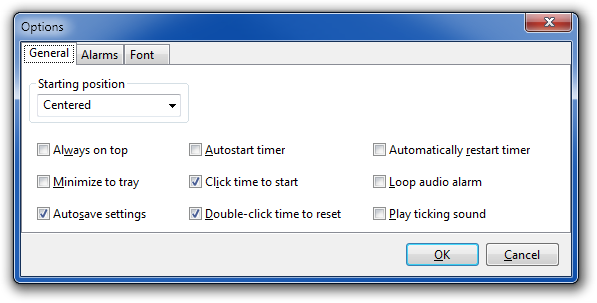 The first tab of the options dialog, allowing you to change settings making the window always on top or autostarting the timer when SnapTimer starts. Customize the four different actions that can enabled when the countdown is completed. Change the font size, color and background color.